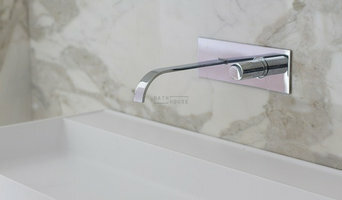 Designing, suppling and fitting beautiful bathrooms and wet-rooms. At Conbu Interior Design we don’t just have the eye for interior design, we have the head for it. We marry creativity and style with razor-sharp project management skills to deliver your luxury home design from concept to completion. Conbu Interior Design is led by Angela Connolly, who is passionate about bespoke fittings and custom furniture design. She has a wealth of experience in high-end home interiors and a pocket book full of Ireland’s premier suppliers, contractors and craftspeople. Angela has been the President of Ireland’s Interiors Association since 2014 and is a Judge at Ireland’s annual Fit-out Awards. She instills three key values in Conbu Interior Design. The first is Excellence. We guarantee you the highest levels of quality and professionalism in all aspects of service delivery. And yes this means that we can effectively manage your budget and meet your deadline head on. Then there’s Empathy. This is critical for an Interior Designer, who is, after all, invited into your home to help you live in it. Our homes are extensions of who we are as people. This is front and centre in our mind when designing for you. We endeavour to see the world in your shoes and design your home to reflect your unique personality, tastes and lifestyle. Finally, Education. We believe in lifelong learning - and are fortunate to have the energy for it! We strive to mastered new skills and explore new styles and inspiration. We’ve recently joined the Georgian Society of Ireland. And YES a Georgian refurbishment project would definitely be a dream project for us right now. 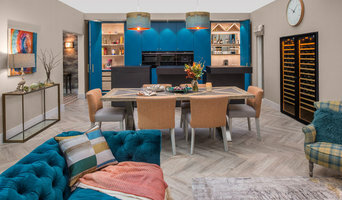 Established in 1986, Habu Interior Design has been successfully designing and managing both domestic and commercial projects in Ireland and abroad. In addition to our interior design service, we also offer a full project management service. Our focus is on quality and service and we have built up strong relationships with trustworthy suppliers and contractors over the years. This allows us to offer a turnkey service where we manage projects to ensure that the finish is to the highest standard. We are creative, dynamic and fresh. Our products and services are updated constantly to ensure that clients receive the latest look. Habu recognize today's economic environment, understand the value of great design and work hard for our clients at realistic prices. Every project is unique and we work closely with our clients and their requirements to create beautiful yet functional spaces. Using our extensive list of suppliers in Ireland, the UK and Europe we advise from initial concept design through to final installation. Understanding the importance of individual needs, and how people relate to different spaces, we are passionate about creating your individual interior. We believe that a well designed interior space can really enhance both your personal and professional lifestyle. We will take the time to get to know you and to understand your needs, giving us the knowledge to create a unique interior space that suits you. Komandor Storage Solutions are experts in the design, creation and installation of bespoke fitted furniture for your home. We specialise in fitted custom furniture, sliding wardrobes, walk-in wardrobes, and storage solutions at home or in the office. Our bespoke furniture and storage solutions bring innovative design and comfort to your space. They don’t just change the way your space looks, but also the way you live in it. We pride ourselves on the outstanding quality of our products, using the very latest technology and techniques to create furniture that both looks looks beautiful and stands the test of time. Our range of products is constantly expanding to meet growing demand and our organisation’s innovative efforts keep Komandor ahead of the competition. Find out how we can help you with your bespoke furniture needs. Call now for a stress-free renovation! Our highly rated consultative service enables us to identify your style and interpret your needs. Together, we can create quality spaces that deliver your dream home. OUR STORY A classically trained artist, with a degree in Fine Art Sculpture, Maria Fenlon returned to college in the 1990’s to follow her true passion in Interior Architecture and Design. 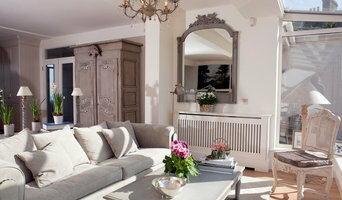 In 2001 she established her Interior design studio in Co. Kildare, Ireland. As a sculptor she has a great love of texture and contrasts of materials and is renowned for her subtle use of colour, her eye for detail and a unique piece of art, her practical approach to planning and her skill in creating both traditional and modern styles. Ventura Design is a one stop shop turn-key service. At Ventura Design, we believe that style is personal, and that each home and space that we design should be as unique as the people who live there. Our interior design services are tailored specifically for each client, and we work in close consultation with you to develop interiors that reflect your tastes, interests and lifestyle. At Ventura Design we create comfortable, timeless and affordable home interiors which reflect our clients lifestyle and needs. We also design and produce also our own collection of high quality fabrics, furniture and lighting . Whether your goal is to refresh an out dated look or create an entire new environment, we can provide you with all of your Interior Design Ideas and essential Interiors decorating needs. We offer a one stop shop interior designed turn-key service to our customers. After our initial in-house consultation we’ll provide you with a detailed breakdown of suggestions, ideas and costs to help you establish your budget. We have a team of fully trained interior designers working in our head office in Ballycoolin, Dublin. With our extensive years of experience within the industry we’ll advise you on how best to approach your project. Our portfolio of work ranges from apartments to 10,000 square foot private homes. 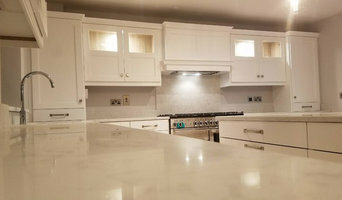 We have built a strong team of reputable tradesmen who work closely with us on all of our projects. Bespoke joinery, furniture design, upholstery and a beautiful wide range of fabrics and furnishings are only part of our wide range of services which we offer to our clients nationwide. Tigress Luxury Interiors is committed to making your world more beautiful. When you choose a bespoke design from Tigress Luxury Interiors, we spend time with you, listening to your ideas and devising the perfect turnkey solution for your particular space. With a bespoke service, we work around your needs, providing a made-to-measure interior that is unique to you. Sometimes, off-the-shelf pieces just won’t work for your vision, so you need a tailor-made design. We will meet with you at the property, listen to your requirements, look at your photos, and come up with a tailored solution, including curtains, furniture, and lighting. Contact us to arrange an appointment. We will work out a fee based on your individual requirements. Tigress Luxury Interiors offers a personal styling service to help you create the ideal space. From sourcing pieces usually not available to the public to creating a design around a cherished photograph, we assign a personal assistant to you to guide you through the process. Our skilled staff are chosen for their exquisite taste and in-depth product knowledge, so you can be assured of their unerring ability to make your vision a reality. Gather photos and items that evoke the image you would like to create, and book an appointment to start the personal styling process. Tigress Luxury Interiors is also a boutique supplier of luxury and bespoke interiors and furnishings for those seeking something singular for their home or premises. What makes us different is our commitment to sourcing unique and limited-edition pieces from all over the world, offering you access to brands previously unavailable to the public. We fuse the finest design with superb materials and peerless manufacture to add an extra layer of quality to your world. We forge ahead with technology and materials to breathe innovation into the classical language of our collections. Sourcing new materials and processes, as well as treasuring the finest handiwork from a carefully selected network of exceptional craftspeople, we are dedicated to making your life more alluring and comfortable. We express the ultimate in quality, emphasising luxury in ways that are pleasing to you.